Microsoft recently announced the new OneDrive Super Zoom for iOS! 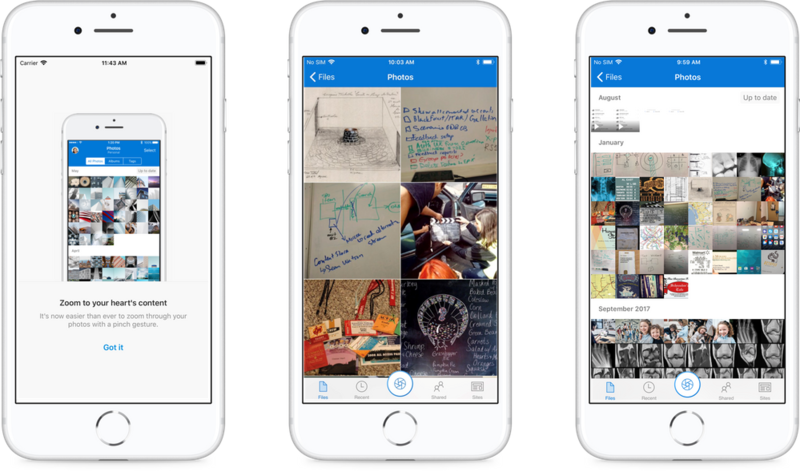 This enables OneDrive on iOS users to use a pinch gesture to zoom in and out of the Photos view. Zoom out to easily scroll many photos at a time or zoom in to get a larger preview of your photos as you browse. This feature is supported on both OneDrive for Business as well as consumer accounts on iOS.